In mid-2017, Pat Kelley was starting to see some problems at the ten golf courses his company, Advance Golf, operates. He was getting tired of hearing his frustrated staff complain about an unintuitive legacy software system that was making frontline operations suffer. 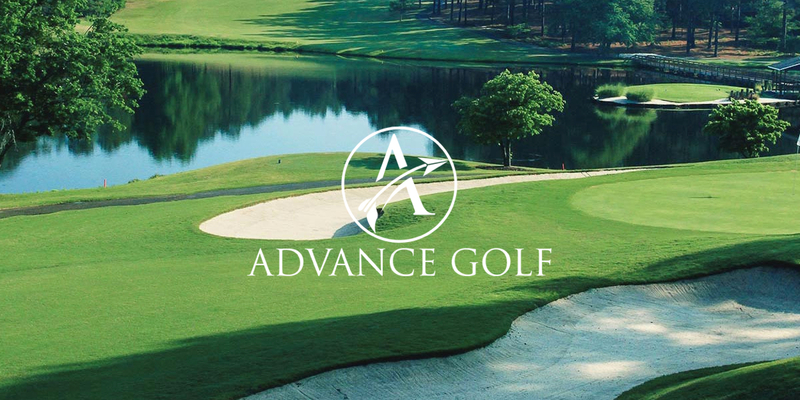 Scattered across the eastern US, Advance manages several busy golf courses in Florida, North Carolina, South Carolina, Texas, Kentucky, Delaware, and Ohio. In other words, the company is very spread out. So, having the system be accessible from the cloud was crucial. The company was already on an Internet Explorer based cloud system, and up until mid-2017, Kelley thought it was serving the MCO's needs. But, the consistent feedback from the frontlines was that dealing with a lackluster POS and tee sheet was holding staff back and over complicating processes, especially in the restaurant. Any cloud-based tee sheet lets you look at your operation and tee sheet from anywhere in the world. Looking at tee sheets from an MCO perspective, Chronogolf makes this easy. I can review ten tee sheets in a single instance. The open API concept gave us access to tools that we wouldn't have had otherwise, and the integration with Lightspeed has been huge for us. Our staff loves it. We’ve learned a lot since Chronogolf came in, and you guys have learned with us, and I think that's the sign of a good partnership. The legacy system required staff to check individual golfers in, meaning that staff could not check in groups for each tee time. At a golf course that handles 250 to 300 rounds per day, this added up to long pro shop lines, frustrated staff, and bad service. Kelley could see that the old system wasn't going to be able to keep up to date with modern trends or remain cutting edge. The software they were using at the time was entirely built by one company and couldn't offer good integrations with better software solutions. Not wanting to be left behind, and fearing a culture clash between management and frontline staff at his operations, Kelley decided it was time to make a change. He needed a system that could still provide the robust reporting, filters, communications, and loyalty software that management had come to expect while giving his frontline staff a better system that could remove bottlenecks, offer more flexibility, and integrate with the best POS software available. He could tell the software was agile and flexible enough to accommodate the needs of a large and dispersed MCO, while remaining user-friendly and intuitive for staff. He knew that Chronogolf was guaranteed to stay up to date because it had focussed on being the best in its vertical, the golf industry while integrating with the best software in other verticals like Lightspeed POS. Since adopting the software, Advance has seen multiple areas of its operations improve. The staff loves the new system. It's user-friendly, intuitive, and simple to learn. Training new hires has been easier than in the past, and bottlenecks in the pro shop have been reduced with group check-in. Now, the starter is able to track the tee sheet in real time with the help of an internet-connected iPad, reducing the need to communicate same-day tee time changes and eliminating the need for starter slips. Reporting accuracy is much improved since the company can now measure over-demand. In the past, the tee sheet could only measure filled demand and unfulfilled demand, and staff were required to record over-demand with pen and paper. Today, Chronogolf automates the process of tracking over-demand, allowing staff to easily record when someone calls and can't get the tee time they were looking for. For golf courses that handle a high volume of tee times, accurate reporting regarding over demand can help with pricing decisions and help generate more revenue. With the help of Chronogolf, Advance Golf was able to develop and offer a new kind of membership model that closely resembles a gym membership. In this new model, customers can opt to pay a monthly subscription fee, to receive monthly access to the course without committing to a year-long membership. With automatic renewals and the flexibility to bill memberships month-to-month within Chronogolf, the MCO has generated new membership interest with its unique twist. Previously, billing existed in another platform. So, having the ability to tie an automatically renewing subscription into a player profile within Chronogolf was critical. Best-of-all, despite introducing a more frequent billing cycle, the company has actually seen credit card declines decrease due to Chronogolf's robust integration with Stripe. We believe technology drives results. See how with one of our experts.